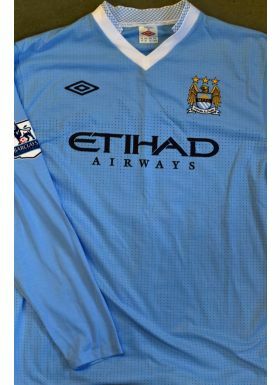 Manchester City 2012/2013 player shirt ‘V’ neck with long sleeves, Barclays Premier League sleeve badges, Umbro collar label size 46, No. 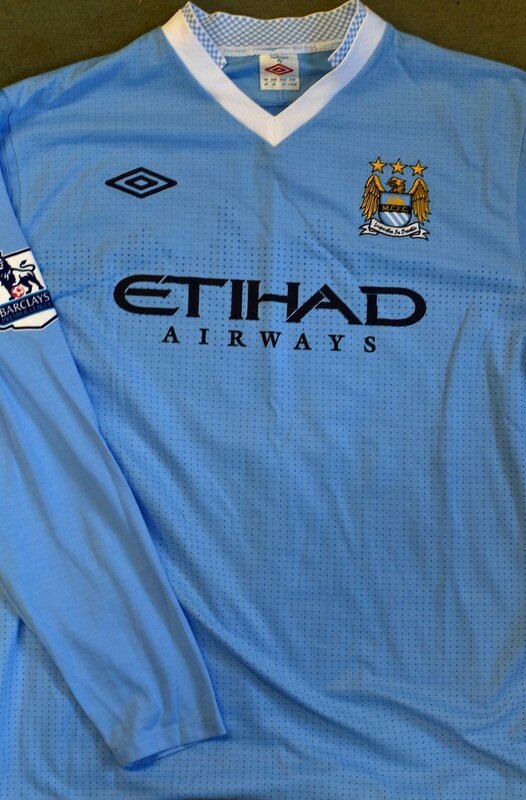 6 Lescott to the reverse. Good.